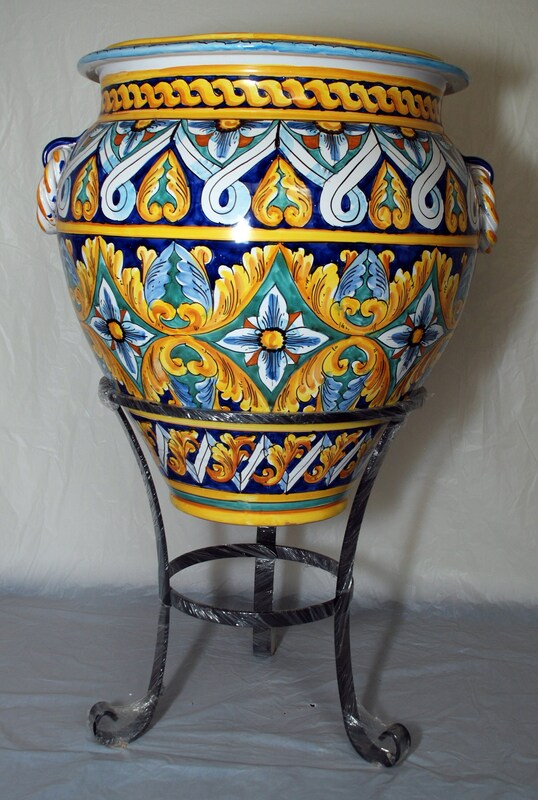 This unique handmade vase is made of 100% natural terracotta. The stand is made of wrought iron and 100% handmade. The stand is included in this list. 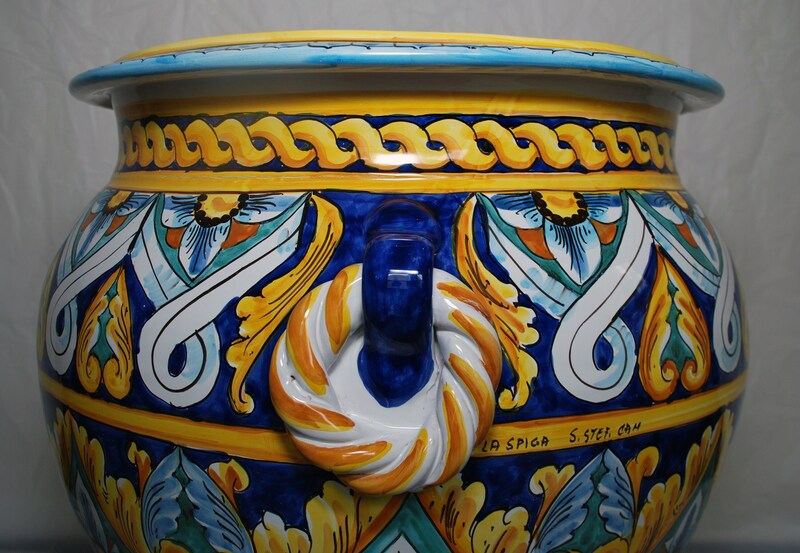 It was made in Santo Stefano di Camastra, north coast of Sicily. Every single piece is signed by the artist. 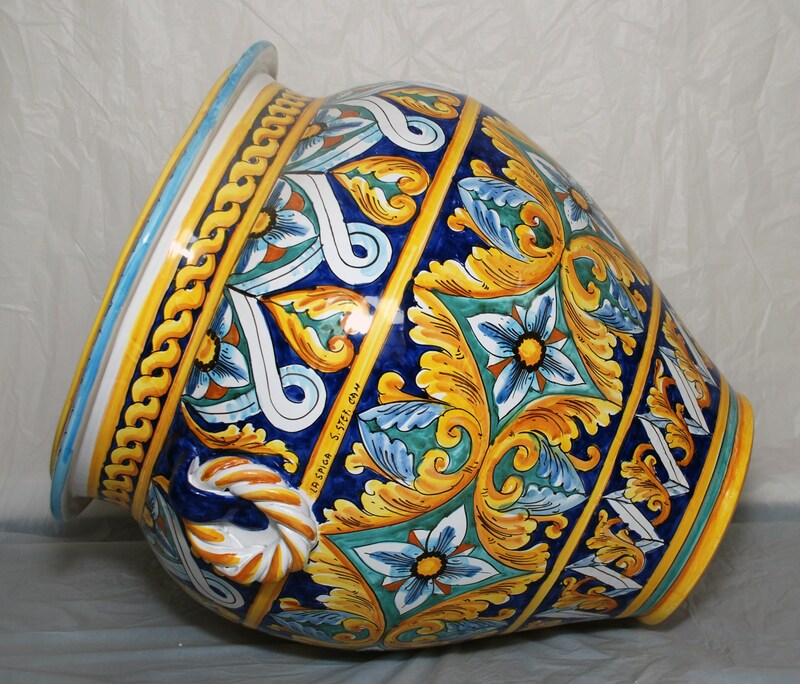 This vase is phenomenal! 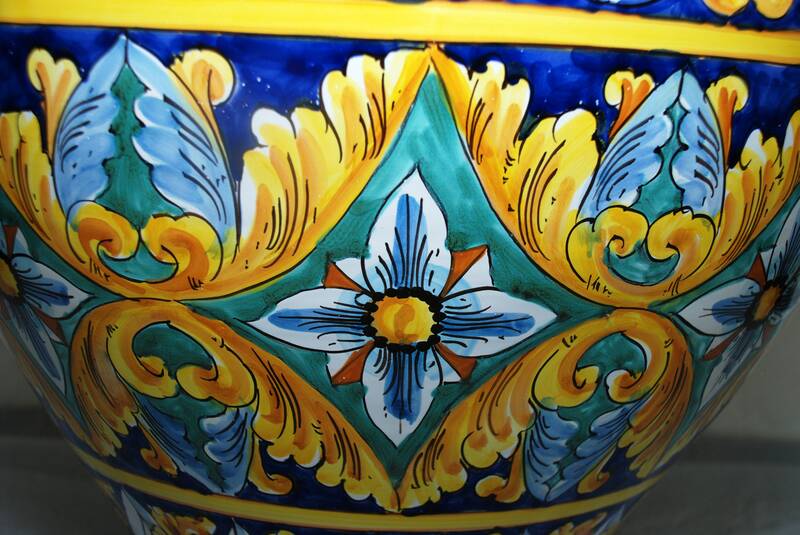 Each piece from A Putia du Re is 100% hand painted. 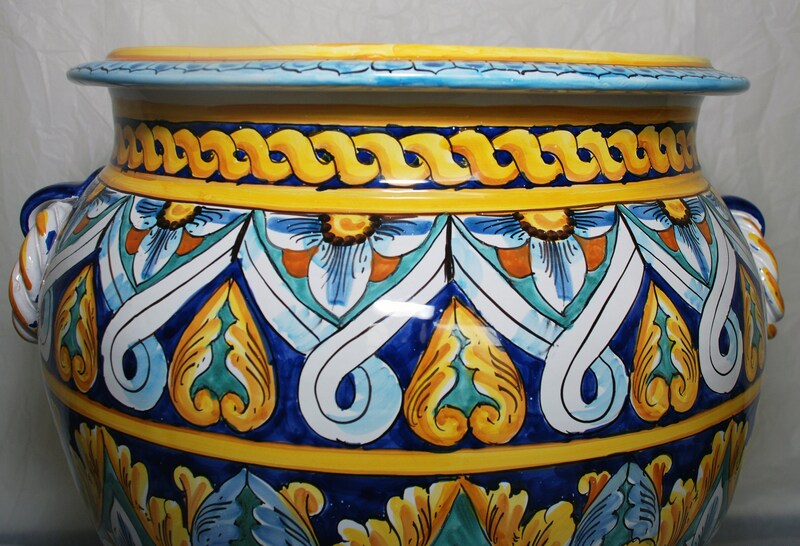 This set will be a one-of-a-kind accent in your house, impossible to copy or to order the same. 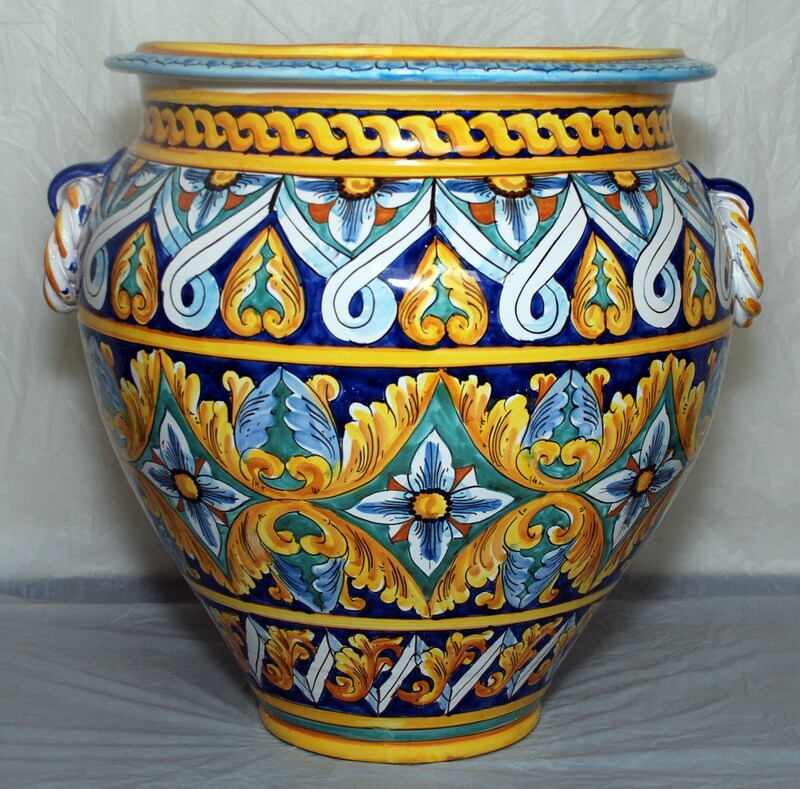 Vase measures are 24 in diameter (mouth 19 in) x 22 in height; net weight about 54 lbs. 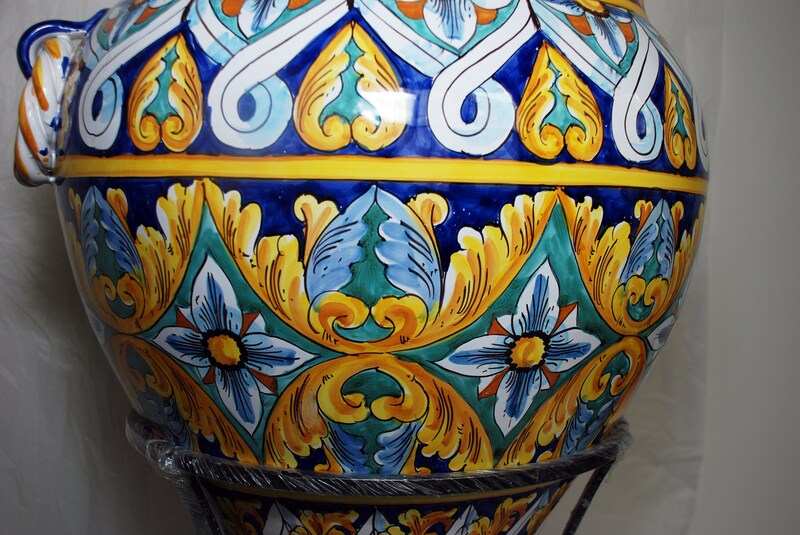 This "Giara" will look great in your living room, dining room, kitchen or patio! 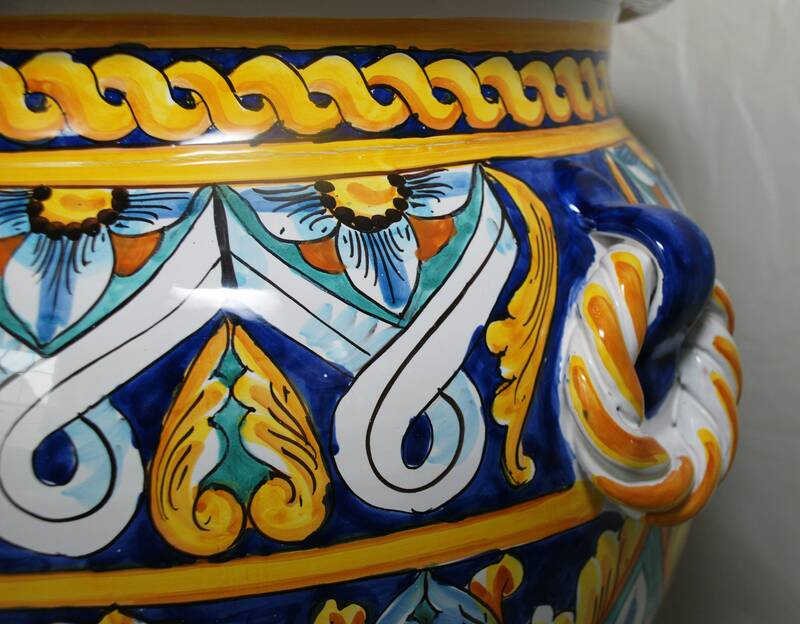 We import those items from Sicily to the U. S. for the enjoyment of our customers. 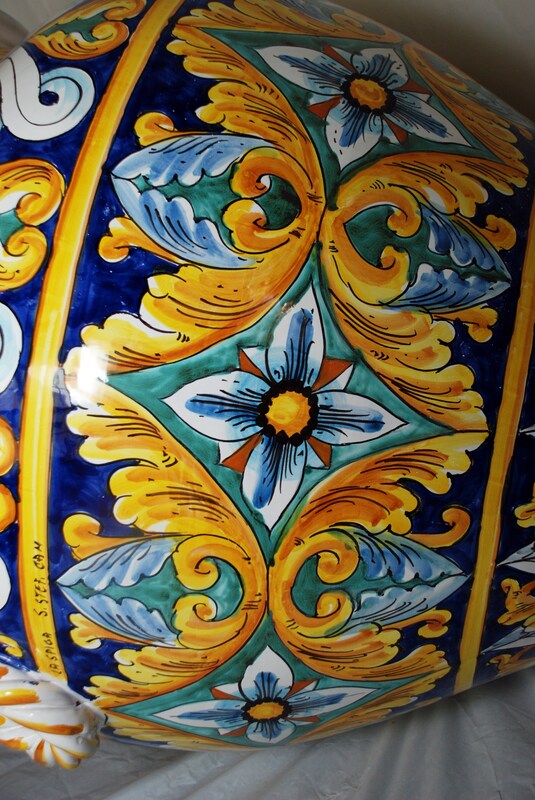 Very popular decoration in Sicily. Great as wedding gift to remind someone of their family origin! 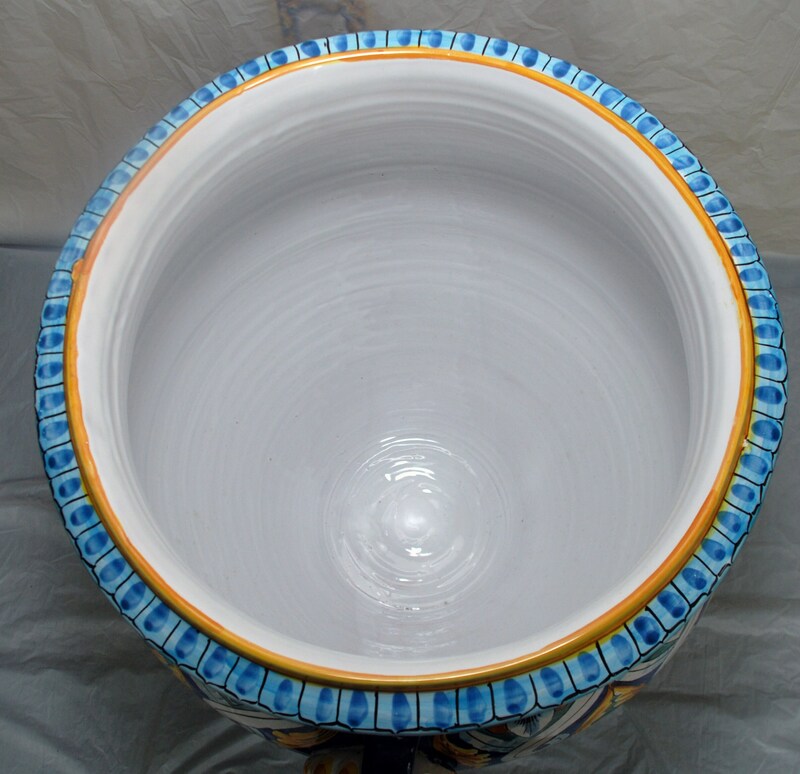 Given the size of the item, please contact us for shipment arraignment, please disregard the website shipping description/profile for this item. We'll calculate the S&H for you, according to your need and location. Please make sure to understand that this item has not a free shipping policy. In the greater DC area it's also possible direct delivery. Please contact us for any question you may have. Thanks!